I think I’ve found a flower that will last! Poinsettias! Last week at the grocery store, I got a poinsettia, and it still looks great. 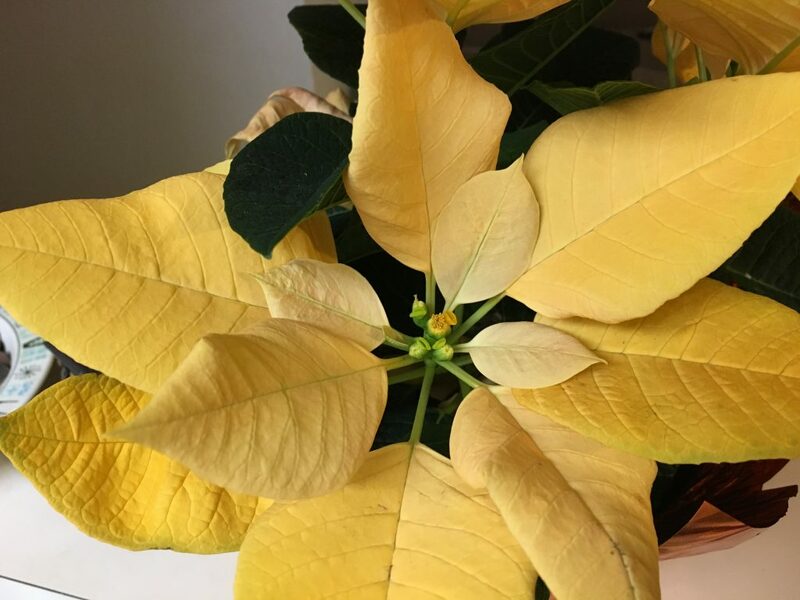 On top of that, this poinsettia is yellow. What? Yes! Yellow! I thought it would be perfect for November and Thanksgiving and stuff. Then in December, I can throw this one away and get a red one. Or maybe I won’t throw it away. maybe I’ll put it out on the lanai. There’s no winter here, so it could just live out there permanently. Well, that’s a heck of a thing. 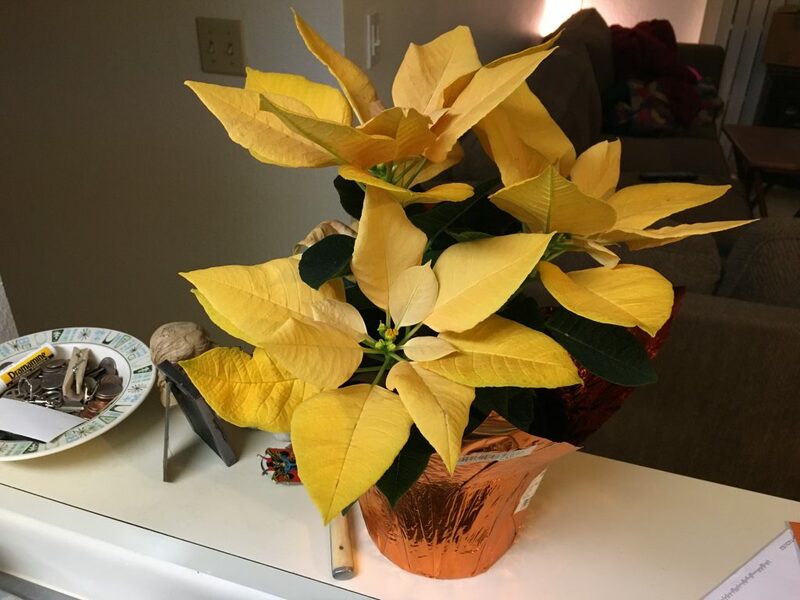 A yellow poinsettia? Did the printer run out of ink?